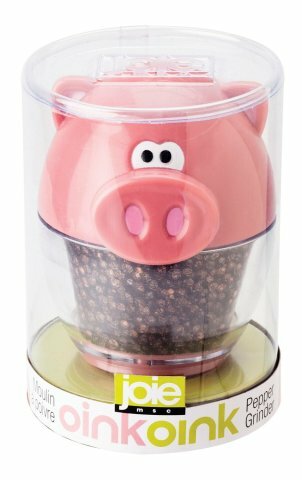 This little porker is made of BPA-free plastic to be food safe, except for the ceramic grinder. This version is a lot more fun than the plethora of sleek metal and glass mills out there. It is perfect for those with a kitchen with a pig theme or for anyone who loves collecting pigs. Whether this is the little piggy that went to market or the one that stayed home, it is easy to wipe clean with a damp cloth. That way you won't be crying "wee, wee, wee" all the way home. 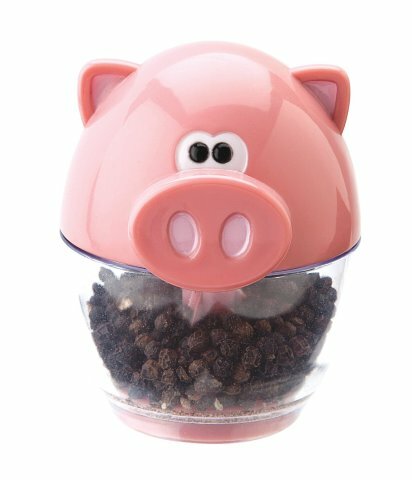 To order your Oink Oink Pepper Mill, click here.